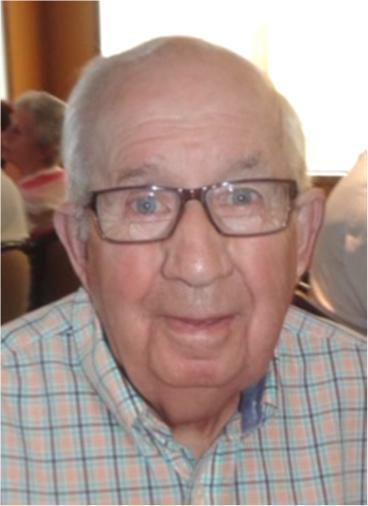 Walden (Wally) Klatt passed away peacefully on January 18, 2019, in Regina, SK, at the age of 93 years. He was born in 1925 on the SE 1/2 6, 11, 17 in Sunnydale District, Yellow Grass, SK. He is predeceased by his son Richard Walden Klatt (2013); his parents; Gottlieb and Roselyn; brothers: Bob and Wilfred; sister Marlyn Anholt; sisters-in-law: Irene Klatt; Ruby Coupal; brother-in-law Don Kerslake; as well as 8 half brothers and sisters. Wally is survived by his wife Fay of 58 years; son James; grandchildren: Kayla, Andrew; great grandchild Nikayla; daughter-in-law Shelley; sister: Shirley (Jack) Bradley; sisters-in-law: Jean Klatt, Joanne Kerslake, Donna (Garnet) Murray; brothers-in-law: Ken Anholt and Marcel Coupal; as well as numerous nieces and nephews. Wally started farming in 1946 in Yellow Grass, married Fay Bennett in 1960 and started their family. Wally and Fay lived in Yellow Grass, SK until 2015 when they moved to Regina. They have many, many friends and stories from spending 30 plus years going south to Weslaco, Texas. Walden spent years as councilor for the RM of Scott, rink board, church council, hospital board in Weyburn, SK, and he was an avid curler and a coach for minor hockey. At Wally's request, no funeral service will be held. Interment will take place at a later date at Yellow Grass Cemetery, Yellow Grass, SK. For family and friends so wishing charitable donations in memory of Wally may be made to the Yellow Grass Cemetery, Town of Yellow Grass, Yellow Grass, SK, S0G 5J0.